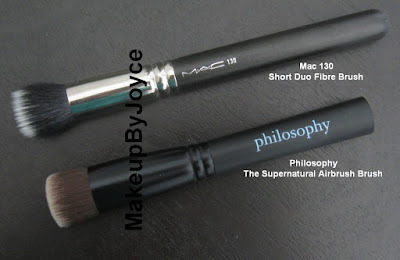 I've been searching for the ultimate foundation brush and decided to grab Philosophy's Supernatural Airbrush brush after reading so many raves about it. When compared to the Mac 130 (review), the surface of the Philosophy brush is the same size, and takes just as long to apply foundation because of the tiny head. However, the bristles of the Philosophy brush are much denser and a little bit shorter than the Mac 130. The main difference is that the Philosophy brush tugs my skin. That is definitely a deal breaker for me because tugging causes pre-mature wrinkles, especially around the eye area, where the skin is most delicate. This is a big NO NO for me! 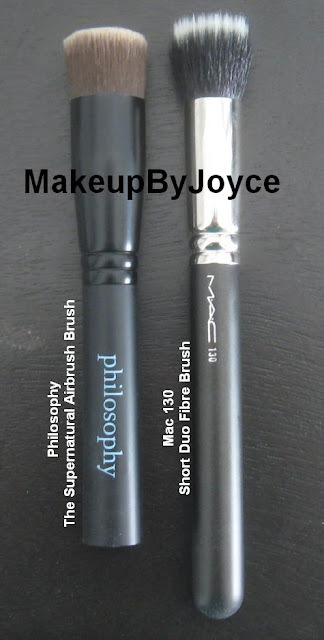 The bristles also absorb some of the foundation, and I end up using a little more than I usually would. Another thing to point out is that it's a hassle to clean because I have to wash it at least 3 times before all the product comes out of the brush. 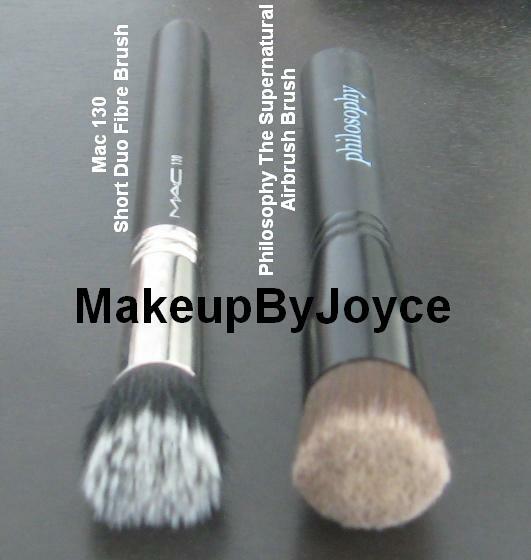 Furthermore, drying takes longer than most of my other face brushes because the bristles of the Philosophy brush is made from synthetic material and is super dense. The only good thing about using this brush to apply liquid foundation is that there is no streaking or shedding whatsoever. Note: The Philosophy brush measures 5.5 inches in total length. You can purchase it at Nordstrom for $25. The Mac 130 costs $40. Have you tried the Philosophy brush?